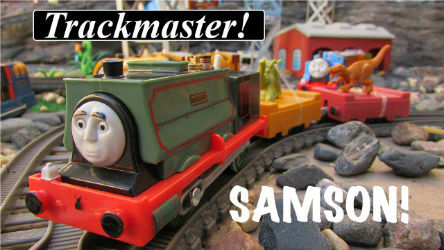 Trackmaster Samson first came to Sodor to take a shipment of dinosaur models to the Earl's estate at Ulfstead Castle, and to help out with the dinosaur park's construction. 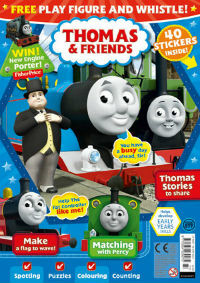 Samson is a cabless tank engine who usually works on the Mainland. He is overconfident, dignified and quite arrogant. This toy includes Samson engine with two cargo cars carrying dinosaur models. 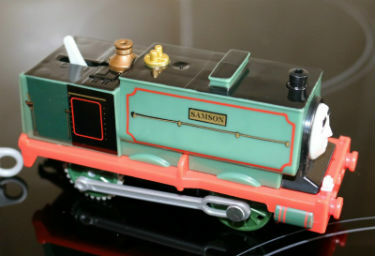 Samson appears to be based on an 0-4-0 saddle tank engine that worked at the High Harrington Ironworks on the Furness Railway. Samson is painted with grey-green with red lining. However, he got lost, and had to spend the night at the Blue Mountain Quarry, not making it to the estate until the next day. While helping with the dinosaur park's construction, he and Harvey both teased Millie, only to get a shock when she tricked them into believing a volcano model had erupted. He later became so determined to not make another mistake that he took Gordon's express coaches to the Blue Mountain Quarry by mistake. He also was put on scrap duty with Harvey, but got so carried away that he chose to scrap a bicycle, a bus stop sign, and the Fat Controller's car, believing they were scrap. 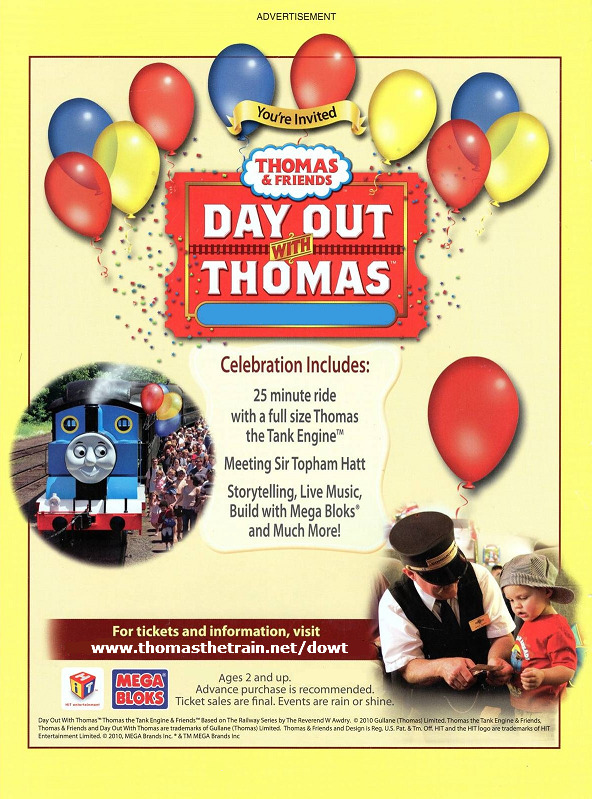 Video of Thomas & Friends Trackmaster Samson's Superfun Train Run!